Answering the call of President Guaido, the U.S. is mobilizing & transporting humanitarian aid for the people of #Venezuela. 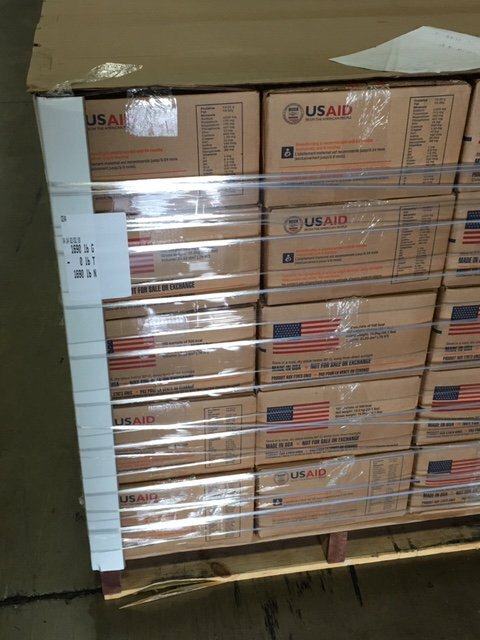 I applaud the hard work of USAID, the State Department and their partners in preparing critical supplies to move forward this weekend. Vice President Mike Pence spoke this week about the deployment of humanitarian assistance with Carlos Vecchio, Guaidó’s ambassador to the United States, as well as Julio Borges, appointed as representative to the Lima Group. Borges will ask the Lima Group, which meets in Canada this week, for the “urgent” opening of a humanitarian corridor. Canada has played a junior role in the ongoing coup. Trudeau, who also levied economic sanctions against Venezuela, promised $53 million in humanitarian aid. Media critical of the coup have been denied access to these meetings. This article was posted on Tuesday, February 5th, 2019 at 10:04pm and is filed under Brazil, Canada, Canada's Foreign Policy, Canadian hypocrisy, Colombia, Donald Trump, John Bolton, Mike Pence, President Nicolas Maduro, United Nations, United States, US Hypocrisy, US Lies, US Media, US War Crimes, Venezuela.